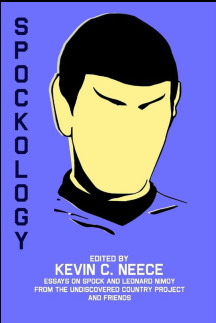 The Undiscovered Country Project is Kevin C. Neece‘s ongoing journey through Star Trek from a Christian worldview perspective. In his blog, audio commentaries, books, and speaking presentations, he asks important questions about the spiritual significance of Star Trek as both popular art and cultural phenomenon and encourages Christians toward a deeper, more robust faith that embraces the breadth of human experience. The Undiscovered Country Project blog has been folded into the KevinCNeece.com Blog Page. You can find a link on the blog page sidebar to the UCP Blog Archive from 2011-2014, or click here to go directly to the UCP Blog Archive. These audio commentaries on Star Trek films and episodes of Star Trek and Star Trek: The Next Generation feature Kevin C. Neece and UCP First Officer Tim Van Orden, along with the occasional special guest. Just pause your media at the beginning of the episode or film, play the audio file on your device, then hit play on the episode or film when we cue you. ​New episodes with improved audio quality, plus previously unreleased episodes from the UCP vault, are coming soon! The Gospel According to Star Trek series and Spockology are the works UCP was founded to produce. Click on the images below to learn about these exciting projects! Get updates and announcements from UCP. No spam, ever. And your information is always secure.